Adaptation, increasingly today, demands a digital transformation. Your SAP systems are crucial in accelerating transformation projects. Businesses traditionally use a wide variety of tools and processes in silos, such as ITSM, spreadsheets, project and development tools etc. Connecting these systems – from an enterprise-IT perspective – across an application’s life cycle, has not commonly been a focus. To meet the challenge head on you need to revamp how SAP application enhancements and projects are delivered. That means more software, more frequently without risk to production, and ultimately to your business. Conventional slow, manual SAP application development methods are on the way out. The focus is on speed, volume, quality and catching potential (costly) errors earlier in the development process. DevOps is about technology, processes and culture. A DevOps strategy focuses on communication and collaboration between product management, software development teams and operational professionals. It creates a culture where higher quality software can be delivered faster and more safely in response to increasing business demands. The method takes Agile and applies it beyond the software team. In a DevOps process, cross-functional teams collaborate across the complete life cycle of an SAP application. Traditional organizational silos are broken down. There is a great degree of communication, trust and understanding of what happens at each stage of the delivery process. Automation is critical to full-blown DevOps. The closer you get to your DevOps goals the more automated a set of systems and processes needs to be. Automation increases the frequency and volume of software, aligning with the expectation of businesses and ultimately their customers. Businesses can make smaller changes more frequently. 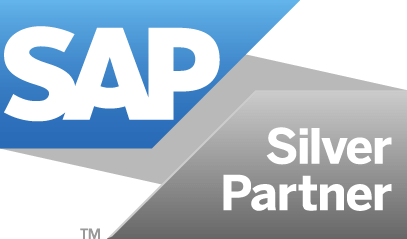 Cross-functional collaboration delivers SAP applications better and faster. Automating the SAP application delivery process eliminates error-prone, manual intervention, minimizing costly systems downtime. Adopting Agile and DevOps for SAP frees up resources for value add projects. SAP IT teams can focus on innovation rather than support – delivering higher quality software and building new revenue streams. Agile and DevOps for SAP are critical in accelerating transformation goals. The methodologies support continuous delivery of software, aligning with business demands.